Supreme Rosewood 17 Year Annual Wooden Shield. 360mm high quality rosewood veneer wood, gloss finish shield. 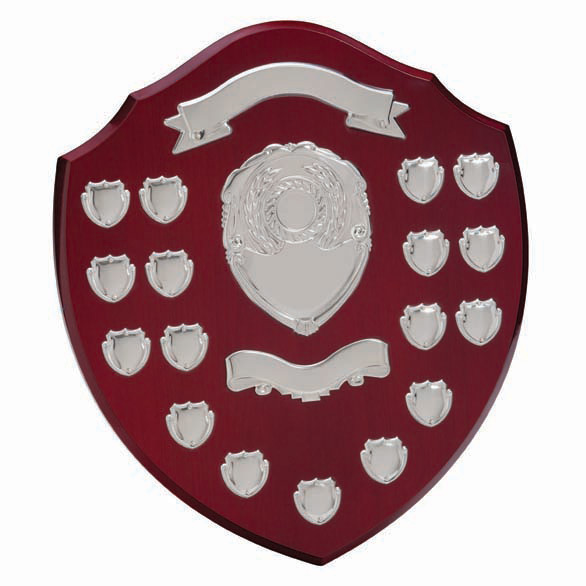 Top and Bottom Scroll and centre shield engraving available for the club/team name and awards title. 17 mini date and name shields attached for the annual winners.